90% of all deficiencies related to windows and doors can be traced back to poor installation. Poor installation of windows and doors will reduce energy efficiency, air and water tightness, resistance to weather and security. 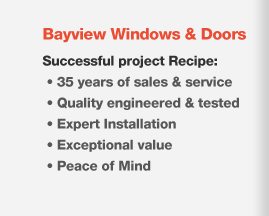 At Bayview Windows and Doors, we guide clients through every step of the process, enabling them to make educated decisions that will ensure their project is a success. The process begins with a consultation to determine the client’s need, the desired look, the style and required function. 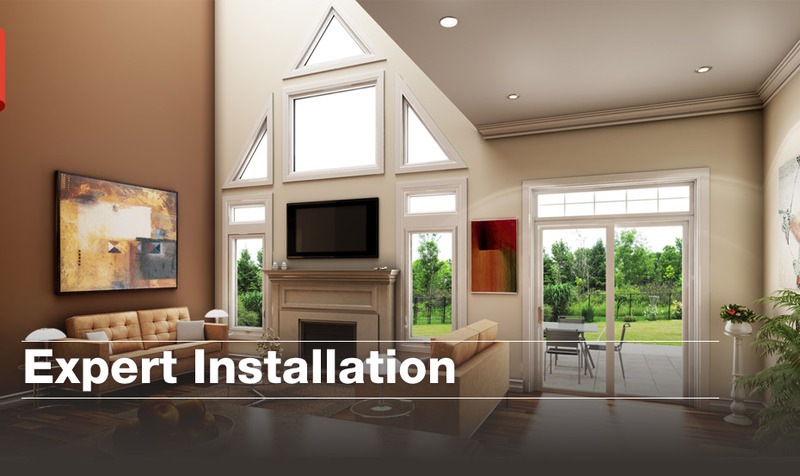 Together we will design and execute an installation that is built to last. 1. A full-frame installation: The entire window/door, frame, trim and brick mould is removed and replaced, so that we can change the size, shape or style of the opening. 2. A sub-frame installation: The existing sashes are removed and the new window is inserted into the old frame. This is a good solution when the interior mouldings are worth preserving. The procedure has also proven to be a cost-effective choice. 3. A split-frame installation: The existing window frame is split in two leaving the interior moulding and window-stops, while enabling the installation of a full-sized new window. This type of installation can be very labour intensive and is suited for double-hung windows that have large or extensive interior mouldings. Our trained team of installers ensure that your windows and doors are square, plumb and level. They are shimmed and fastened securely to prevent sagging or movement. We then insulate using low expansion foam, along with draft-stop tape and commercial grade sealants to prevent leaking. 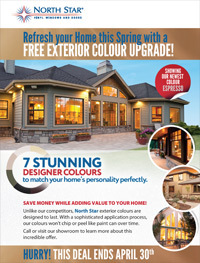 At Bayview Windows & Doors, we want your home to look beautiful. We pay special attention to detail ensuring that all fasteners and sealants are neatly hidden. 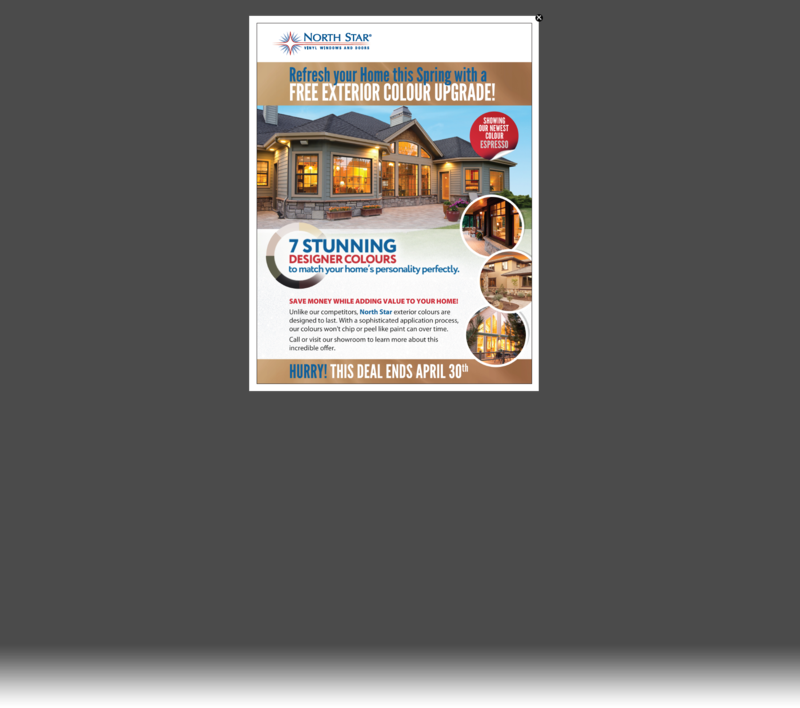 Bayview Windows & Doors is your one-stop solution, backed with an industry leading 10-year warranty on labour and installation.